The DBC moderator team works hard behind the scenes to make sure our members have a great experience of reading and discussing diverse literature! In particular, we put a lot of time into previewing books for each month's selections, starting several months in advance. Our team reads far more books than are chosen, and we aspire to a very high quality bar for each selection. We do our best to make it seem effortless, but the truth is that it takes a lot of time. For the past year, we've been troubleshooting this tension between streamlining the preview process while identifying excellent selections. That's why, in our second reading season, we are trying something new: DBC VIPs, short for Very Important Previewers! VIPs will be an extension of the moderator team, primarily assisting with researching titles for monthly themes and reading alongside us. With their help, we hope to maintain our high quality of DBC picks and feel confident in them through redundant previews. We extended an invitation to join the VIPs to folks from the application pool in our recent search for an Adult/YA Moderator, as well as to highly engaged DBC members who have been proactive in seeking out and sharing recommendations over the past year. We are so excited to welcome these readers as an extension of our team! 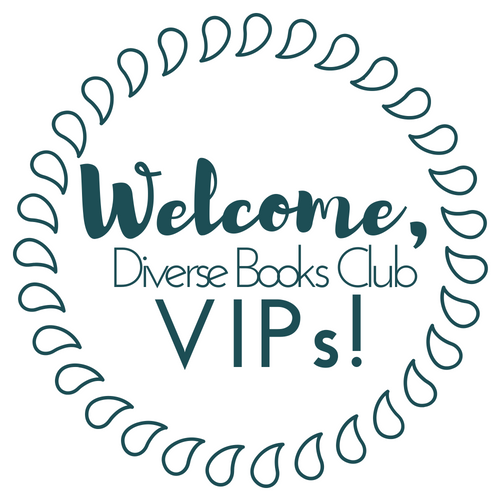 Welcome to the New Home for the Diverse Books Club!